MS Outlook is very useful to one’s daily professional emailing requirements. However, like every other software, Outlook too can be affected adversely by bugs and performance issues. you might not have the recent updates to MS Outlook installed. Outlook is loading images and emails that are external. you have the add-ins that obstruct the working of Outlook. you have a large mailbox. 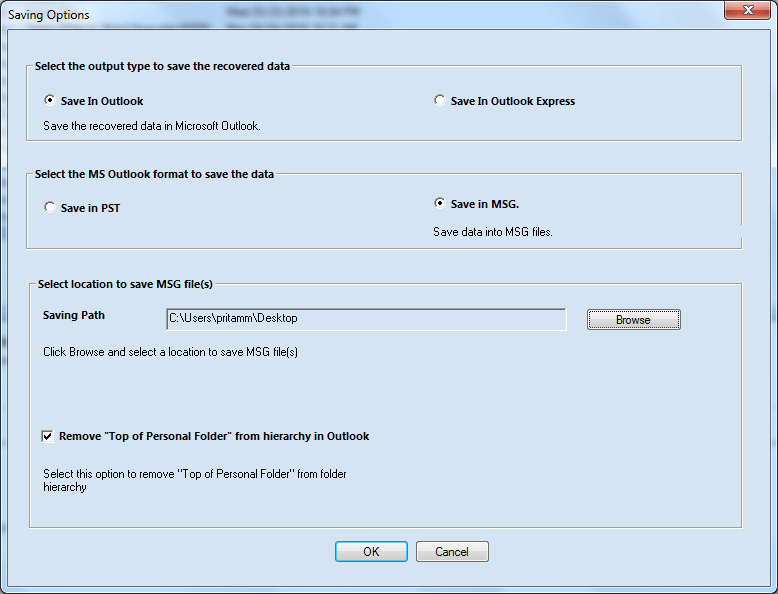 you might be having an Outlook Data file which is corrupt or damaged. the antivirus installed on your computer clashes with Outlook. ‘Outlook Not Responding’ would mean a complete stand-down on the work. When you try to click on the window, Outlook and the whole screen becomes luminous with the message which reads, “Microsoft Outlook not responding” exhibited on the title bar. When this happens to your Outlook, there is always a likelihood for you to be in the middle of either a conversation with your potential client or expecting an update for your important security problems. When Outlook hangs, the best thing to do is to wait until it responds. Having seen the causes and effects of the ‘Outlook Not Responding’ error, we need to ponder on the ways to deal with the error. 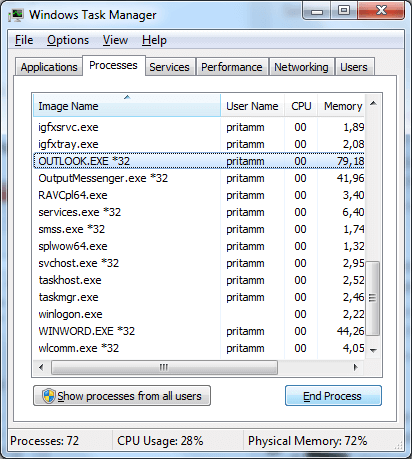 Quit Outlook and all related processes using the Task Manager. For this, select the Outlook.exe and end the process. A message pops ups and then Outlook gets shut down. 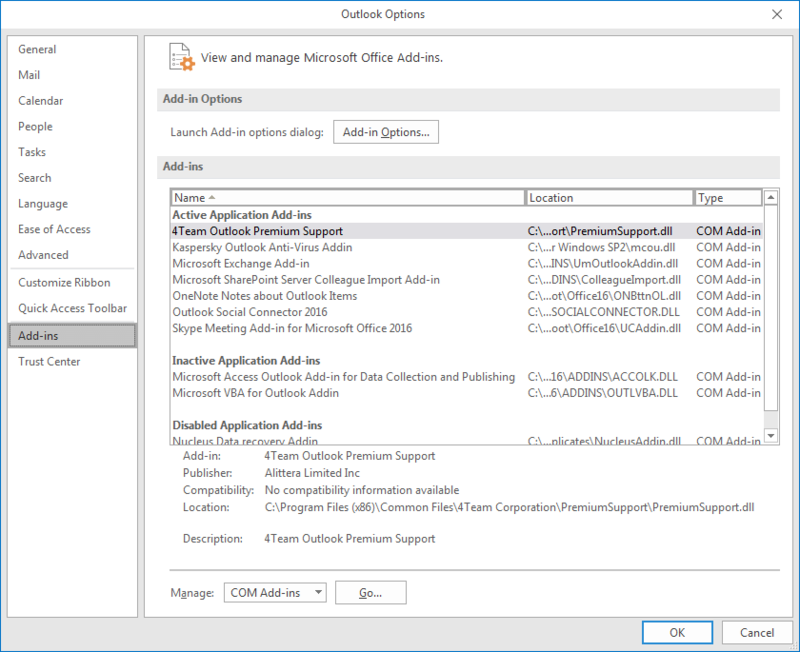 Sometimes, faulty add-ins can cause complications with the normal working of Outlook. Identify such add-ins and remove them. Some antivirus software products scan every outgoing and incoming email to detect the problems. This might cause the problems with the normal operation of Outlook at times. Additionally, your antivirus might flag some of the add-ins as “untrustworthy.” How do you undo antivirus? The answer is that you should go to Control Panel, and then turn off the antivirus. Large PST files are always problematic. So, cleaning and organizing Outlook is very important. 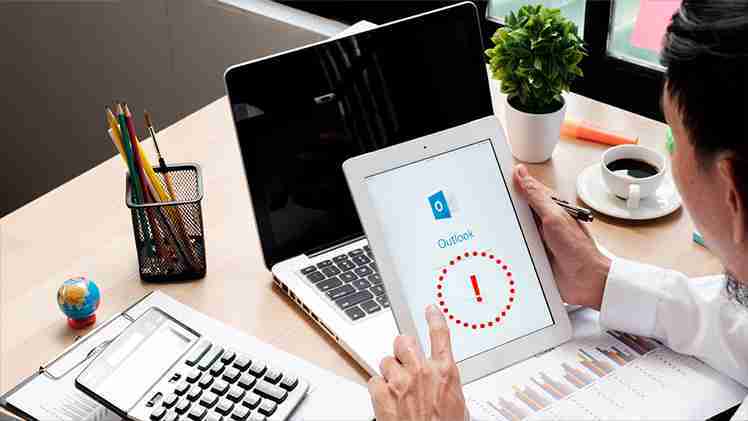 To organize Outlook, remove unwanted emails from Outlook Inbox as well as other folders, archive the old emails, and empty your ‘Deleted Items’ folder so that the size of PST may reduce. On the Start menu, click on the Settings icon. Go to the Settings menu, then go to Find, and type Firewall. Then select Firewall from the list. The Windows Firewall window opens. Here, you can click the Allow an App or Feature through Windows Firewall option. The Allowed Apps window opens and then click Change Settings. Check the box next to Outlook. Click OK.
Exit the Firewall and restart your computer. Firewall no more blocks the Outlook app. If all these steps fail to fix the error, use the PST Repair tool by Recoveryfix. Empowered by powerful algorithms, the software quickly upkeeps corrupt PST files. The Recoveryfix tool recovers all the mailbox items such as emails, calendar, contacts, and attachments. With Recoveryfix Outlook PST Repair tool, the user can recover the PST file in every situation, no matter what the error is. The tool recovers the PST data keeping intact the complete hierarchy intact. 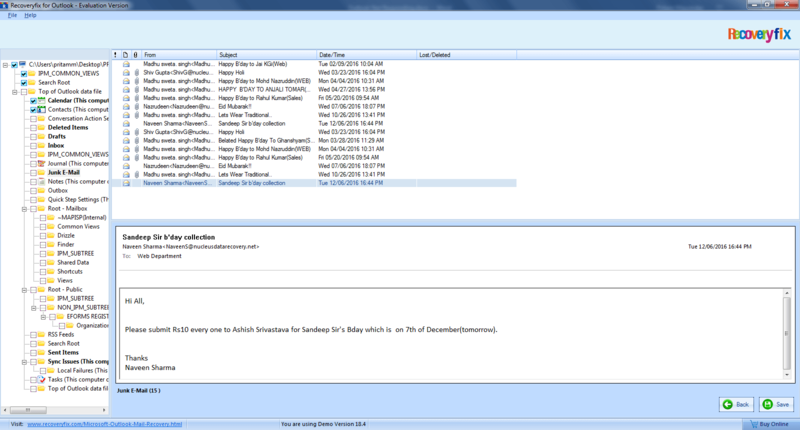 Recoveryfix for Outlook permits you to preview all the items that you have recovered before saving it. You can easily authenticate the content of a PST file, which includes emails, contacts, calendars, attachments, etc. post-recovery. Having repaired the corrupt/damaged PST file, Recoveryfix for Outlook allows you to save it in different formats to open in Outlook and/or Outlook Express apps. “Outlook not responding? Well, we can do many things to fix the error. And if you are not able to fix the error using these workarounds, you should try Recoveryfix for Outlook PST Repair.